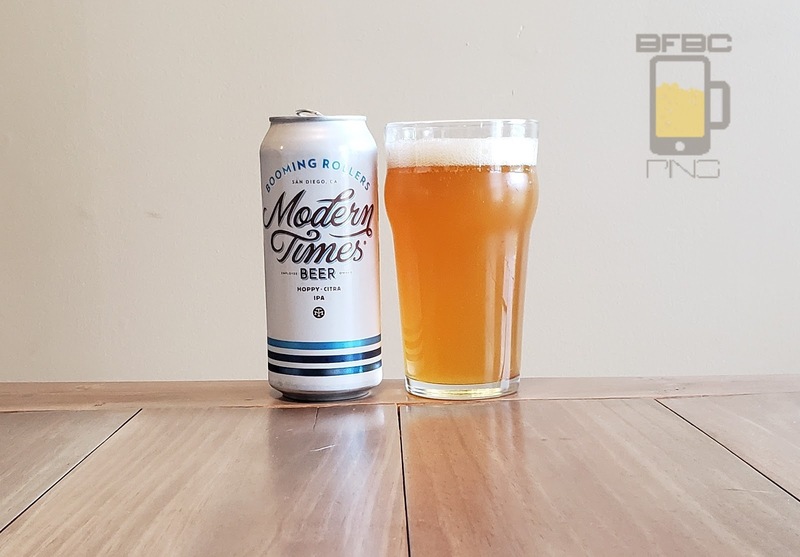 Wait - another one from Modern Times, and it's another somewhat hazy IPA? Is it possible that Bearded Iris simply created a subsidiary in San Diego or something? Look, I don't know what's going on, but I'm happy enough in my ignorance as long as I get good beer. The patchy, cream-colored head sits atop the hazy golden beer and leaves lacing as it sees fit. It's not going to leave a wallpaper of bubbles on the glass, but a webwork will definitely be the result of a well-consumed beverage. The aroma of citrus is evident, but I don't get the dust or the mangoes that I got from the previous - and quite excellent - effort. 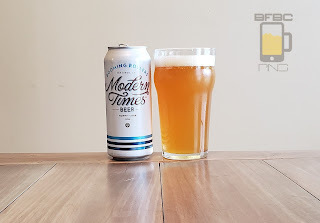 First sip is breathtakingly simple with citrus and a slight wheat malt, and the fibers of the fruit are really giving body while being a bit tart and sweet at the same time. It's a darn good sip, and there is only one thing that can follow - a gulp. Tip-in is carbonation sizzle with floury wheat bread with a big-ol' hunk of grapefruit and orange on top of it. The middle is where the carbonation shifts to the back of the throat to continue its sizzle and the fruit and wheat get down to business like a hunk of fruit steak in the middle of the mouth. When the finish comes, the relief of the solidity of the middle is a prickle of carbonation across the tongue and a citrus haze filling the whole mouth. Bottom Line: West. Coast. IPA. This is what it is.